EnergySolutions Announces Acquisition of PHTS Logistics Inc.
Salt Lake City, Utah – December 28, 2017 – EnergySolutions announced today it has acquired PHTS Logistics Inc. (PHTS) located in Elmwood, Ontario Canada. 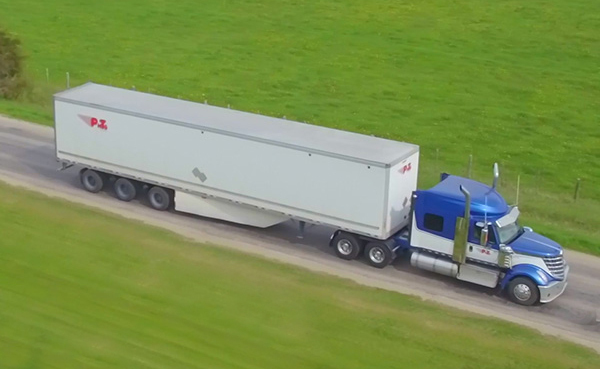 Founded in 1996, PHTS is the leader in Truckload (TL) and Less Than Truckload (LTL) logistics services in the GreyBruce region of Ontario and across Canada. PHTS is the leader in TL and LTL transportation services in the Grey-Bruce region with a reputation for superior, personalized customer service and safe, legal and caring transport of cargos throughout Ontario and across Canada. 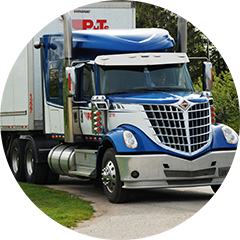 PHTS offers door-to-door full truckload (TL) service throughout Ontario and, by customer request, across Canada. PHTS offers daily less-than-truckload (LTL) service to and from Grey-Bruce to major centres across southwestern Ontario. PHTS offers rush service, secure warehousing, capabilities to safely transport specialized cargos and much more. Regular service: TL loads are scheduled for pick up and delivery on specific dates – sometimes same day, sometimes next day or up to four days later, depending on travel time. For LTL loads in our delivery area, you can expect next-day delivery between 8 a.m. and 5 p.m. Rush service: When you need your cargo transported quickly, we will do our very best to get it to its destination as fast as possible. Extra charges will apply. Time is money, and we don’t like to waste either one. As part of your in-house team, you’ll have custom logistic management services backing the scheduling and transport of your cargo. So it gets there efficiently and on time. Want to know where your cargo is? Each vehicle in our fleet is outfitted with Fleet Complete’s global positioning system. In addition, our drivers carry BigRoad’s hand-held, GPS-enabled electronic logbooks. So we can track your cargo’s movements and whereabouts in real-time to within two meters – to give you a good idea where your goods are at at all times. What is it and why do I have to pay it? A fuel surcharge is an additional cost that transportation carriers charge their customers to account for the wide fluctuations in fuel costs. The surcharge varies based on a set formula and will increase/decrease throughout the year. At PHTS, we go to great lengths to negotiate the best possible rates, to keep your costs – and ours – as low as possible. Delays happen. Most carriers allow for a certain amount of wait time for loading or unloading. PHTS includes the following wait times in your order: the first 30 minutes to load/unload an LTL load and the first two hours to load/unload a TL load. Additional wait time is billed at $94 per hour, with a half-hour ($47) minimum. Cargo insurance provides protection against all risks of physical loss or damage to freight from any external cause during shipping. Our shipping rates include basic cargo insurance for up to $2 per pound. 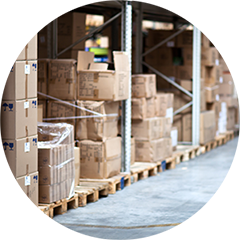 For shipments of higher value, we carry $250,00 cargo insurance. Higher cargo and insurance values must be agreed to and documented in writing with our dispatch prior to time of shipment. PHTS is a qualified carrier of HazMat Classes 1–9. 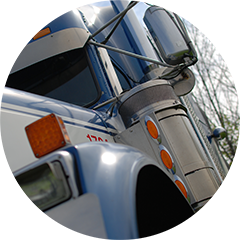 We carefully adhere to Transport Canada’s Transportation of Dangerous Goods (TDG) Regulations. The Canadian Nuclear Safety Commission recognizes PHTS Logistics as a HazMat Class 7 (Radioactive Materials) carrier. Be assured your cargo will be in trained hands – for everyone’s safety. The safety of your cargo, our drivers and all those sharing the roadway is very important to us. 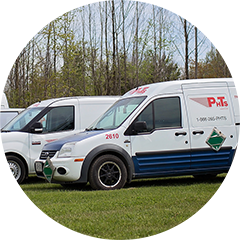 All PHTS vehicles are maintained in-house by our licensed truck mechanics and maintenance staff, and they meet or exceed all safety standards as laid out by Transport Canada and provincial regulations. In addition, we have an outstanding group of safe drivers that keep our MTO-regulated Commercial Vehicle Operating Registration (CVOR), which is based on traffic violations, roadside inspections and at-fault accidents, in good order. To build strong and lasting relationships with our customers through superior customer service, and provide safe and timely transport of their cargos. We can handle all your cargo transportation needs – from the smallest, most delicate shipment to heavy loads up to 93,000 lbs.